A Unique Fashion School: Fast and Focused! FCI Fashion School in Los Angeles is the only fashion school specializing in short-term fashion training! What makes FCI's programs so unique? FCI Fashion School offers “hands-on” training in the Los Angeles Fashion District on a quarterly basis. FCI Fashion School places students on fashion internships as part of the core curriculum and also offers job placement assistance. Weekly Open House. Meet the teachers, read the curriculum and take a free class. FCI’s Mission is to meet the educational and vocational needs of students in the shortest time possible in a supportive, caring environment, and to provide the technical skills, knowledge, and networking connections. Ms. Farrell, a fashion entrepreneur for over 40 years has owned 15 retail fashion boutiques, in New York, Aruba, Las Vegas, and California. In January 2001, Ms. Farrell founded FCI Fashion School to help students attain their dreams of working in the fashion industry or start their own line of clothing. Fashion Merchandising Instructor B.A. (English Literature/Creative Writing), USC J.D. California Western School of Law Instructor Fashion Marketing, Fashion Merchandising with special emphasis on Fashion Entrepreneurship.Joseph’s introduction to the fashion industry began at age 10, when he accompanied his mother, FCI Founder, Helen Farrell, on her many buying trips to top fashion designer showrooms in New York City. At 19, Joseph opened an apparel store inside a “major strip hotel” in Las Vegas. He sold the business several years later in order to focus his attention on his studies at USC and, later, at law school. Joseph reentered the world of fashion in 2003 because he found fashion “more exciting” than law! Joseph has mentored many students in the business side of fashion to become successful fashion entrepreneurs. B.S., (International Marketing and Finance) Slippery Rock University, Pennsylvania University of Seville Spain Dean started his fashion career at Calvin Klein Mens Division NYC as a Mens Merchandiser, followed by a stint at Saks Fifth Avenue as the Mens Associate Fashion Director in New York City. Following Saks Fifth Avenue, Dean held the position of Fashion Marketing Manager for GQ Magazine where he was responsible for all U.S. and Overseas Events for Giorgio Armani, Salvatore Ferragamo and many other American and European Designers affiliated with GQ Magazine. Currently living in Los Angeles for 11 years, Dean is the Mens and Womens Sales Agent for DKNY Jeans controlling the distribution for 15 Western States. The newest addition to his portfolio of American Designers is Calvin Klein Mens Sportswear and Pan Am brand bags. Arlene Henry’s journey to becoming the owner of a successful independent fashion sales company did not take the traditional “fashion” route. Arlene’s introduction began by creating beautiful hairstyles for all the “fashionistas” at the California Market Center. Arlene then networked with a major manufacturer of women’s apparel who sent her to New York for a trade show. Arlene’s 1st order of $50,000.00 paved the way for her new fashion career in 1991. Jennifer’s fashion life started when she became a sales associate at Nordstrom. Quickly becoming a sales “superstar”, Jennifer ventured into manufacturing after she made a connection with a top Nordstrom buyer. After retail sales and manufacturing, Jennifer dove into wholesale, becoming a corporate showroom representative for Richard and Company, a well-known missy knitwear company. An entrepreneur at heart, Jennifer quit her cushy corporate showroom representative job to open her own multi-line showroom specializing in “missy clothing with contemporary styling”. An FCI instructor for over 8 years, Jennifer has mentored…and hired…many FCI students, guiding them in the exciting world of fashion! Eva Mejl spent six years in Paris living, absorbing, and studying the fashion industry. 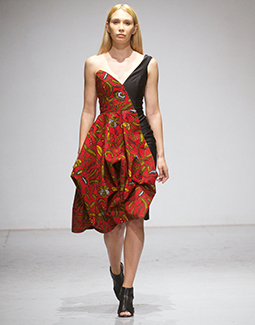 A top fashion manufacturer referred Eva to FCI Fashion School to learn the U.S. Apparel Market and to expand her Fashion Design skills and background.Eva Debuted her first U.S. collection at the FCI student fashion show “The Art of Fashion” in May of 2009, receiving a phenomenal response. A true success story, Eva Mejl Designs is currently sold and distributed worldwide. Eva joined the FCI faculty in 2010 to teach and inspire students how to start their own line of clothing. A.A., (Fashion Merchandising) FIT New York After briefly working as a showroom representative for Barlan Furs in New York, Lori moved to California to pursue her dream of opening her own fashion business. That dream crystallized into “Impulse Moda”, a glamorous showroom with high-end European collections that Lori opened in the California Market Center in 1983. Lori subsequently negotiated to become the exclusive U.S. agent for “Ball of Cotton”, a hand-loomed sweater line, “Emilo Toro” a Colombian contemporary line, and “Olvis” a Dutch contemporary ladies collection. B.A , Journalism C.C.N.Y. Leila Ross started her fashion career in New York City as a Better Junior Buyer for the Federated Department Stores Group. At Federated, Leila worked under the iconic Mickey Drexler…who put “The Gap” on the map! Exploring other fashion avenues, Leila started working in the wholesale side of the fashion industry in New York and, later, in California. Leila was in charge of the entire West Coast operations for “In Wear-Matinique”, a large Danish clothing company until she opened her own showroom in the late 1980′s. Leila has always specialized in casual contemporary clothing, being one of those ex-New Yorkers that loves the California lifestyle. Mark has spent over 15 years traveling to New York on a monthly basis selling dresses and sportswear to budget chain stores. In 1990, Mark shifted his focus to work exclusively in off-price and close-out sales. Mark has taught FCI students the basic “ins and outs” on how to survive in the extremely competitive fashion industry. Mark has instructed FCI students on how to navigate the “shark-filled” waters of the off-price industry, offering invaluable advice on how to liquidate excess inventory for maximum revenue. B.A., Old Dominion University, Virginia Institute d’Arte Di Roma, Italy Marco’s illustrious career started with a retail boutique he opened at age 23. A few years later he changed his customer base when he opened “Chocolate”, a sportswear company specializing in suits, tops and dresses selling to, among others, Bloomingdale, Nordstrom, Macy’s and Saks 5th Avenue. In 1998 he opened 2 additional wholesale companies, “Marco G Designs” and “MG Studio” selling to over 300 specialty stores and majors. Marco’s current company, MG Concepts, founded in 2002, specializes in private label selling to such high end stores as Arden B, Bebe, Cache, Matty M and Willow & Clay. MG Concepts main office is in Los Angeles with 2 other offices in China. Rick’s entry into the fashion industry started when he worked for several department stores while attending college.His first wholesale job was with Calvin Klein, where he worked exclusively with West Coast department stores. Rick later took six years off from wholesale to learn mass merchandising at The Gap, during their rise in the marketplace.Rick returned to the wholesale division working in the womens better contemporary market, servicing major chains and department stores. An FCI instructor since 2004, Rick instructs students on all aspects of department store buying, as well as instructing students on the potential “pitfalls” of selling their line to department stores. 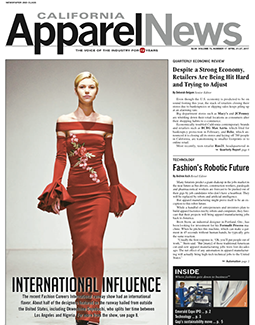 Renee Cohen started her career in fashion as a buyer in an East Coast department store in 1972. In 1975 after moving to New York City, she became the VP of French Designer Daniel Hechter and built the brand for the entire USA. In 1978 Renee moved to Los Angeles and opened her own showroom representing contemporary collections with a European influence. She has been in business for 33 years and continues representing European collections that are classic with a twist and loves sharing her passion with the students at FCI. Her expertise in the fashion industry is shared with everyone she works with. Sheila’s extensive experience in the international fashion scene includes having been a professional buyer for high-end specialty stores, as well as having successfully designed and marketed her own contemporary line of clothing and accessories in Europe. Sheila has personally worked with nearly every major fashion designer in the U.S and Italy on trends, production, and international marketing. She has been certified by the Italian Chamber of Commerce in Florence, Italy, on having achieved recognized professional status in international marketing, import and export of all categories of apparel and accessories. Since 2003 Sheila has been devoted to launching European lines in the American Market. One of FCI’s newest faculty members, Sheila began teaching at FCI in 2010 guiding new students in every aspect of the business of fashion. At age 21 Sarah started her fashion career by becoming an assistant sales representative for a menswear line called “Cafe Shirts”. A sales position with Leila Ross, (another FCI adjunct instructor) followed, as did a stop- over at the famous accessory showroom “Parallel Lines”. Currently, Sarah has been employed with Arlene Henry Sales for the past 14 years as an account executive in charge of specialty boutiques and majors in the 12 western states. Laurie Hasson fused her lifelong “love of fashion” and her advanced business background into a “premiere” better contemporary showroom that debuted in The New Mart in 1992. Laurie opened a second showroom in Dallas, Texas shortly thereafter. Laurie’s showroom has been paramount in connecting specialty boutiques, department stores, (such as Nordstrom that consistently buys from her showroom), and online businesses with fresh new talent. After years of success, it continues to thrive as a launch pad at the vanguard of contemporary design. Laurie shares her enthusiasm for the Fashion Industry during her lectures with FCI students. The internship agreement FCI has with Laurie’s showroom affords students an “outstanding opportunity” to intern in a sleek, sophisticated, dynamic fashion setting. M.A., (Shoemaking/Leather Goods) Royal Academy of Fine Arts Antwerp, Belgium PCVO Lokeren, Belgium. Sita started her career as a design assistant for Gruno & Chardin, ZNJ, Brussels, a well known fashion brand with 134 retail stores. Among others, she has since been working for Betula/Birkenstock in shoe design, with Phillips Design on wearable technology and future trend research for JT’s Designs in graphic design and private label. She teaches students the craft of leather goods combined with the art of handbag design. She currently started up a line of specialty bags for the movie industry. B.F.A., Brooklyn College Tish School of the Arts; New York University Valerie started her career in Millinery in New York City working for such well-known designers as Eric Javits, Kokin, and Patricia Underwood. Since relocating to Los Angeles in 1992, Valerie has been an independent representative,has been a partner in a denim manufacturing company, and is currently representing several well-established brands such as “Hanky Panky”, Kay Celine and “Papillion Blanc”. Valerie’s expertise is in intimate apparel and she is instructing students in that aspect of the business.